We are on the brink of a disaster greater than since the last war. It could result in the collapse of government, the removal of our Prime Minister, an election… God only knows. But because He does, we must approach Him now with a sense not only of urgency, but destiny. I am convinced that God has not finished with this nation. We must unite in prayer before God and overcome the separation between denominations and churches, as we have done in Ukraine. We really need you to pray with us that when we do hold this Prayer Event – it will be in all the power of the Holy Spirit, and God will change our whole Nation! 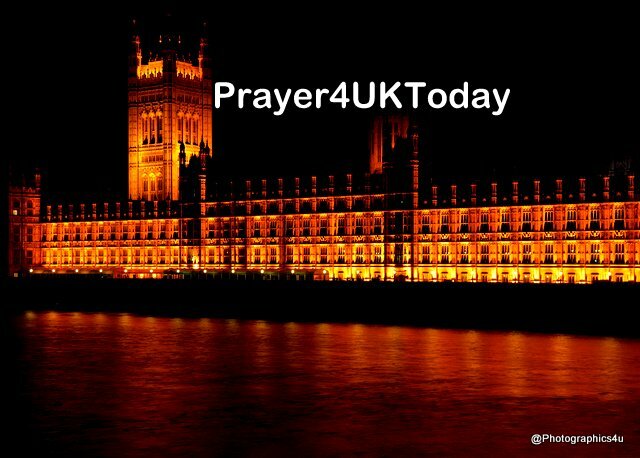 Please pray as Theresa May is at Brussels trying to finalise the Brexit deal. Pray for our heavenly Father's perfect will to be done.. Declarations & decrees by Veronika West that can be used during your times of prayer.